Aviator Yachtsman Wanderer, Padraic “Paddy” Evans has embarked his final journey. 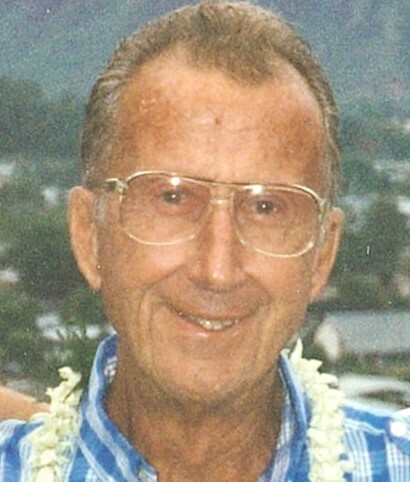 He was born in Seattle, Washington on February 28, 1922 and peacefully left his home in Kaunakakai on August 21, 2018. He lived a remarkable life. Many will miss his numerous life stories and his kolohe sense of humor. He loved his family, friends, flying, sailing, reading the QB’s and his beloved dogs. In lieu of flowers donations can be made to the Molokai Humane Society, P.O. Box 1258 Kaunakakai, HI 96748 in his name. He is survived by his children Dorcas Speer (Hank), Patrick Evans (Ester), Robert Evans (Elke), Maura Grey (Gregory), four grandchildren & two great grand children. Please contact capt.paddy171@gmail.com for celebration information.